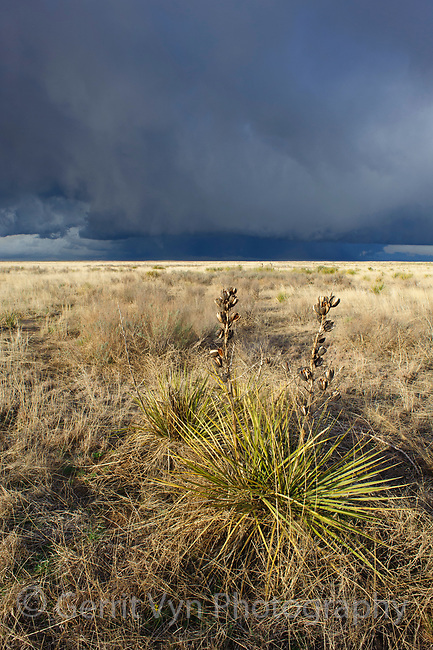 Sandsage steppe, prairie yucca and approaching thunderstorm. This is the habitat of teh Lesser Prairie-Chicken. Cimarron National Grassland, Kansas. April.